Gently remove tangles with fingers or a wide-tooth comb. Start at the ends and slowly work toward the roots to avoid damage. Do not brush. 1. Add a small amount of HairUWear Shampoo to a washbasin of cool water. Use shampoo sparingly. 2. Place product in washbasin and allow it to soak for 5 minutes. Do not scrunch or agitate the product. 3. Rinse by holding under running cool water until the water runs clear. Gently squeeze or use a clean, dry towel to press out excess water. Do not twist or wring. 4. Apply a light coat of HairUWear Leave-in Conditioner + Detangler avoiding the base and roots. Applying conditioner to the base may cause shedding. 5. Place wet wig on a folding HairUWear Wig Stand or hairpiece on a HairUWear Hanger until it is completely dry. Finger styling is recommended. 1. Shake product and style with your fingers to achieve the desired look. We recommend a HairUWear Styling Brush, HairUWear Styling Comb or fingers to style. 2. 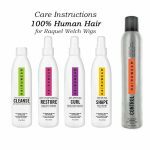 Synthetic-safe styling products can be used to set your hairstyle. 3. 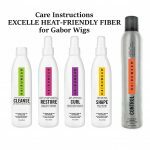 Never use heat to style your synthetic fiber. Heat will cause damage. 1. Soaking longer than the recommended time will damage the product. 2. Hot water will damage synthetic fiber. 3. Using heat tools such as a blow dryer, curling iron or hot rollers will damage synthetic fiber. 4. Sudden bursts of heat, such as opening an oven door, will damage synthetic fiber. 5. Do not dry on a solid form or mannequin head to avoid stretching the cap. 6. We do not recommend sleeping, showering or swimming while wearing the product. 7. Store the wig on a HairUWear Wig Stand or hairpiece on a HairUWear Hanger to avoid unwanted kinks or crimps. 8. Lace is delicate and should not be tugged or pulled. 9. Any cutting should be done by a professional hair stylist. No returns or exchanges will be allowed for worn or altered products. 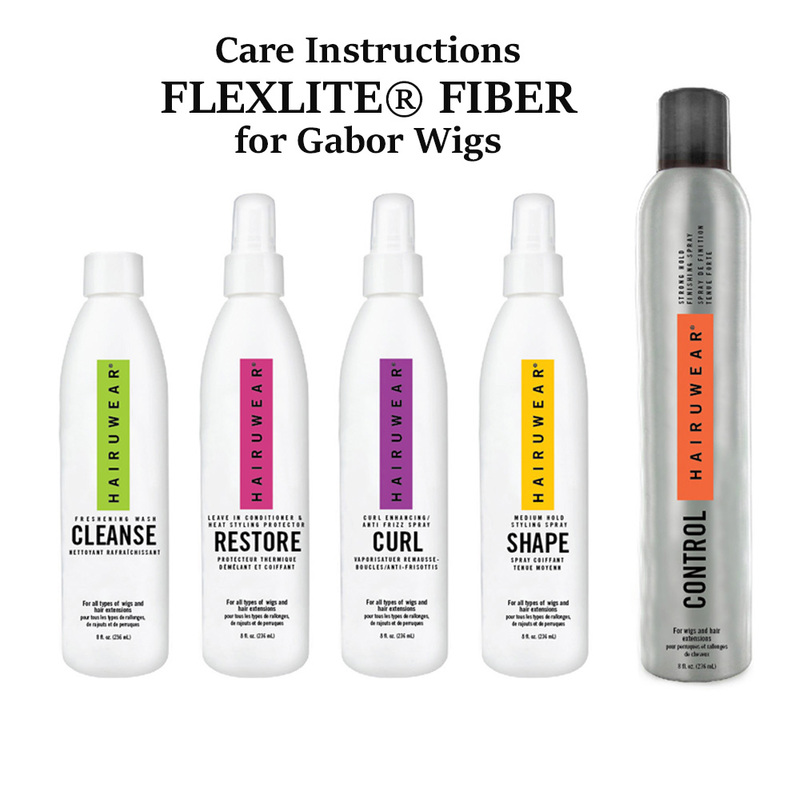 Care Information and Instructions by Gabor, HairUWear.